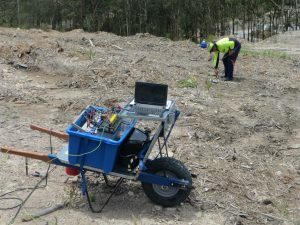 Aquares is a sub-bottom profiling system that uses resistivity techniques modified from traditional land based systems to provide high resolution quantitative and qualitative data of consolidated and unconsolidated sub-bottom strata. Quantitative data (commonly acquired from Acoustic reflection systems) relates to depth and thicknesses of sub-bottom layers or structures. Qualitative data relates to the quality of the observed structures or layers (e.g. sand, silt or clay in the case of sediments and rock quality, fresh or weathered in the case of rocks). The unique ability of Aquares to provide qualitative data is extremely useful for dredge, construction and trenching operations. 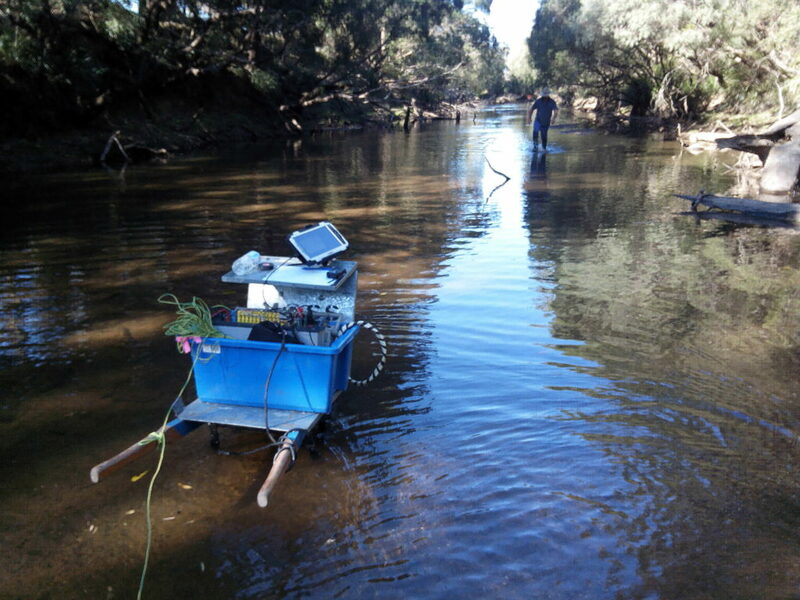 This system has brought resistivity to the forefront of fluvial and marine sub-bottom investigations. Aquares is the basis of our Integrated Digital Ground Model (IDGM) and critically allows 4 Dimensional visualisation of the sub-bottom and borehole targeting. Utilising Aquares results engineers have a complete picture of the existing sub-bottom environment. Dredging and construction costs for projects are greatly reduced due to project design being able to take into account existing sub-bottom structures. Deployment methods have also been refined to allow Aquares to be deployed as a standalone system or in concert with other geophysical systems. Left to right respectively; the Deep water, Shallow water and Land variants of the Aquares system. 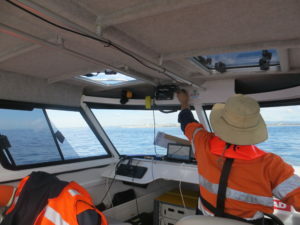 Note the Shallow water system (orange cable) operating in concert with a Boomer (blue cables on the right) and Side Scan (towed alongside – not visible). Aquares Resistivity System is a resistivity based method that has been highly modified and extensively tested for use in marine and freshwater environments including both shallow (approximately 30m water depth) and deep water (up to 200m) projects. 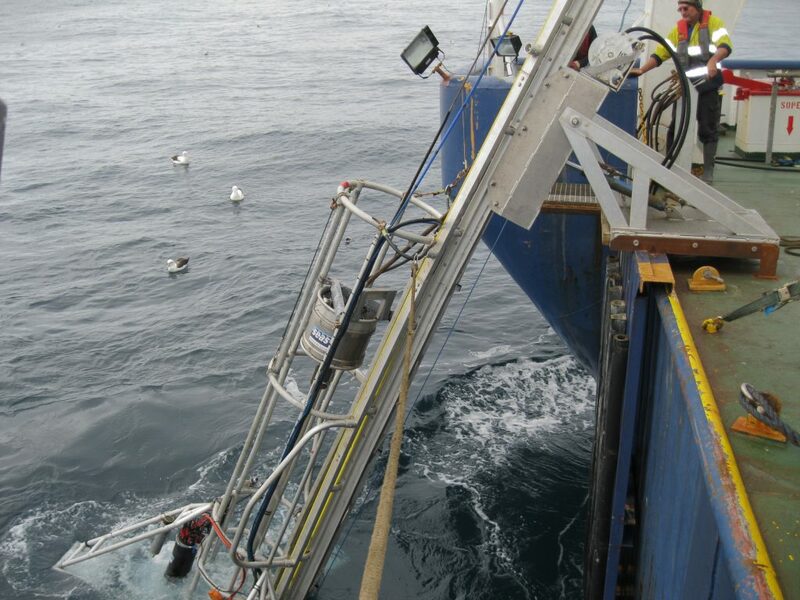 Multi Channel cables are trailed behind the survey vessel and either float or are towed on the seabed depending on the conditions, though seabed towed cables are always preferred. Real time measurements are transmitted to the survey vessel every 900 milliseconds, which allows the operator to immediately assess the quality of the data and adjust parameters as required. This results in significant saving in the data acquisition costs and plus higher quality data is collected as all aspects of a survey are optimized on site. Aquares studies provide depths, thicknesses, information about the nature of the geology and the presence of soft sediments underlying compacted sediments or rock. Key Projects include: Panama Canal expansion, JNTP Port, Doraleh Container Terminal, Djibouti, NSW Metro Cross Harbour Tunnel, Eden Port Redevelopment, NSW, Gold Coast Water Strategic Integrated Digital Ground Model. OEMG global in partnership with Demco NV provides the Aquares for land in Australasia. Aquares is a high resolution sub-bottom profiling system modified from the proven principles and methods of land based geoelectrical survey, and offers the same operational and processing benefits of the Aquares marine systems. This includes enhanced acquisition and processing techniques that provide high resolution quantitative (i.e. depths and thicknesses) and qualitative (i.e. quality or resistivity) data about sub-bottom structures. 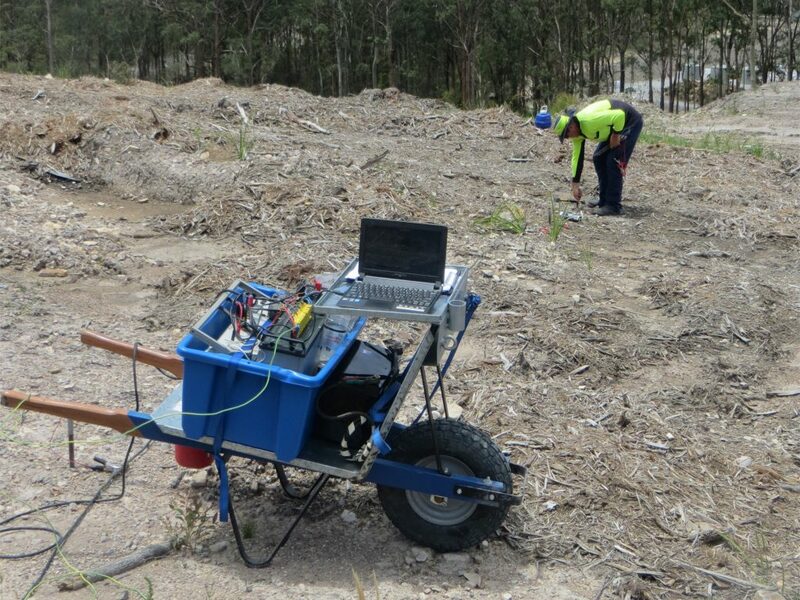 It has brought resistivity to the forefront of land and freshwater sub-bottom investigations. In complex geological environments (Hard-Soft-Hard, undulating, vertical and discontinuous layering). The RheoCable Method (TRM) is a new and totally unique method for determining the nautical depth in the presence of fluid mud. Breaking away from traditional acoustic and density based systems, TRM relies on viscosity changes at the fluid mud/solid mud interface to precisely map this rheological boundary. The RheoCable Method was developed by THV Nautic on behalf of the Belgian port authorities (Afdeling Maritieme Toegang, Belgium), subsidised by IWT (Instituut voor Wetenschappelijk en Technologisch Onderzoek, Belgium) and proved during a pilot program undertaken in the Port of Zeebrugge. OEMG Global has partnered with THV Nautic, developer of the Rheocable method to bring the system to the Australasian region. The unique ability of the RheoCable method to map the true nautical depth in the presence of fluid mud opes the possibility for new and efficient dredge management. 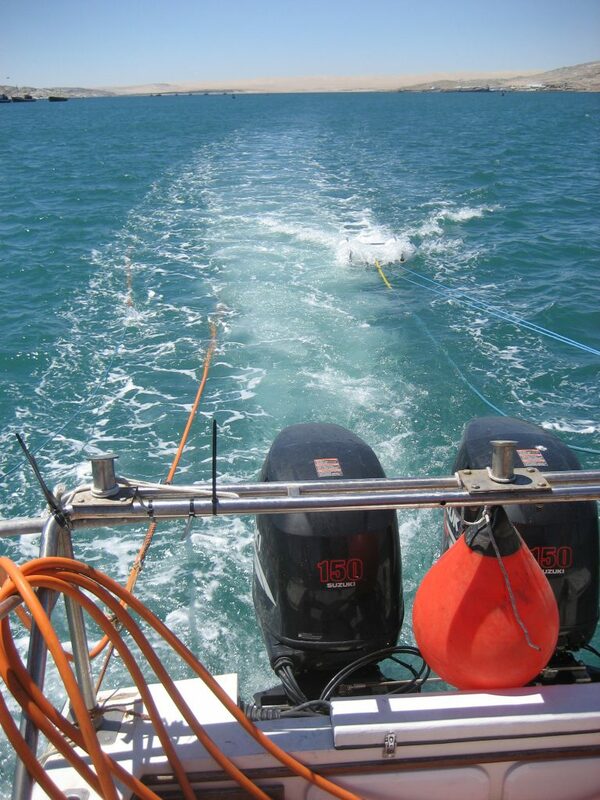 It works by dragging a sensor package behind a survey vessel at the end of an umbilical data cable. The RheoCable Method is a proven and efficient method for determining the nautical depth as defined by the discontinuity in the vertical viscosity profile, separating fluid mud and solid mud. 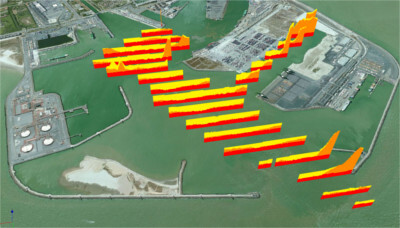 The method allows Port Managers to confidently optimise dredging operations by knowing exactly where the solid mud begins. In addition the thickness of the mud layer can be determined with additional techniques. OEMG-Global undertakes seabed and sub seabed mapping for scientific bodies, oil and gas companies and civil construction. We will work with your company and use your equipment, or we can utilise strong relationships with hire companies around the world to arrange the most cost effective and practical solution possible. OEMG global utilises and has access to latest technology, acoustic and geo-electric sub-bottom profiling systems. We will work with your systems or assist in the preparation of tenders or planning to ensure that the goals of the survey are understood and met. OEMG undertakes targeted geotechnical studies as part of an Integrated Digital Ground Model and view Geotechnical surveys as an integral and indispensable component of any robust ground study providing key engineering data. However, as with all studies, the purpose and potential contribution to upside and down side risk should be assessed. Targeting geotechnical studies with high resolution and advanced geophysics, improves the accuracy and interpretation of sampling. Most importantly, Geotechnical studies targeted with OEMG’s Integrated Digital Ground Model, have saved proponents 10’s of millions of dollars through the realisation of opportunities and the avoidance of emerging risks such as latent geological conditions. 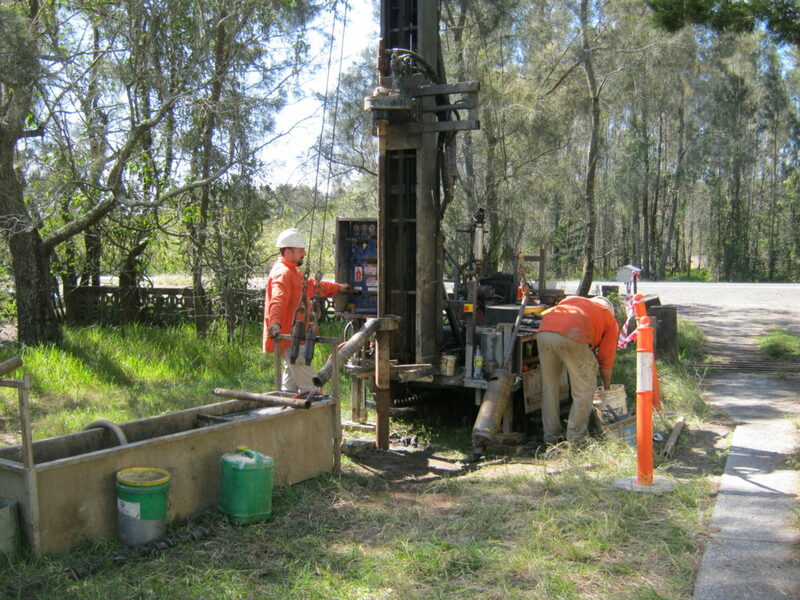 The selection of geotechnical methods is just as important as the sampling locations. 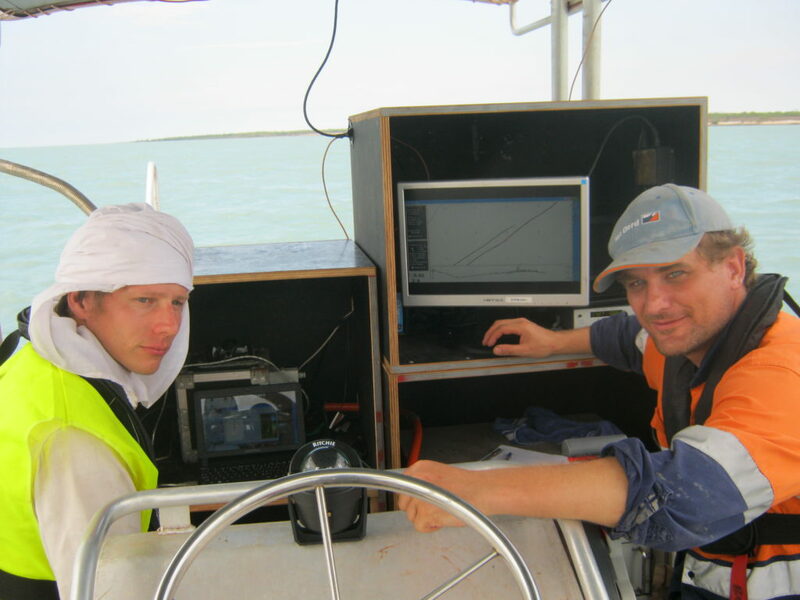 Vibracoring has become one of the quickest and most effective tools for sampling soft sediments. It can be used in conjunction with or instead of rotary coring and is most effective when targeted with Aquares Geophysics. 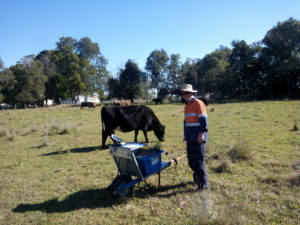 The acquisition and analysis of Vibrocores has been a valuable tool in geotechnical investigations for many years. Early vibrocorers were cumbersome and required large vessels for deployment. In the late 1970s Associate Professor Charles Phipps designed a lightweight portable Vibrocorer that could be deployed from small vessels and still acquire up to 6m, largely undisturbed core samples from unconsolidated to lightly indurated sediments in water depths up to 200m. Vibrocores can provide valuable geotechnical information including sedimentological, engineering, and geochemical data quickly and in a cost-effective manner. The lightweight equipment can be transported by air for rapid mobilisation into remote areas and assembled in various configurations depending on the specific requirements of the job. Core samples can be analysed on-site and/or in a laboratory.